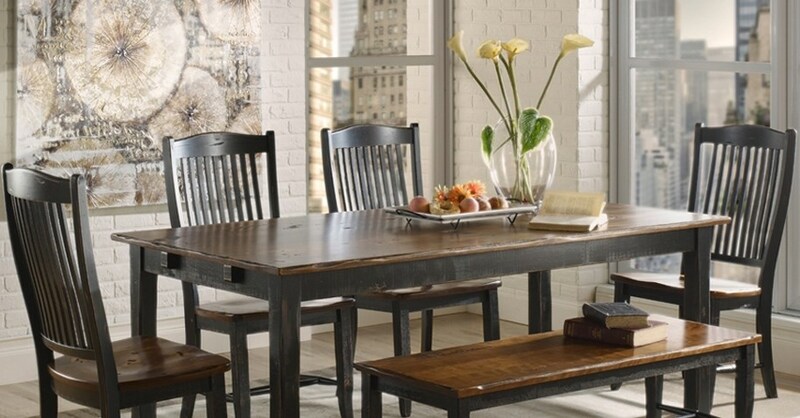 At Saugerties Furniture, we carry a large selection of customizable, better quality dining furniture Made in North America. 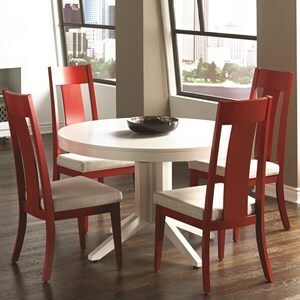 Our dining furniture can be customized to fit your family's size and needs. All stains are Ohio Certified Stains and are available in Oak, Brown Maple, Rustic Cherry, Quarter- sawn White Oak, and Elm woods. 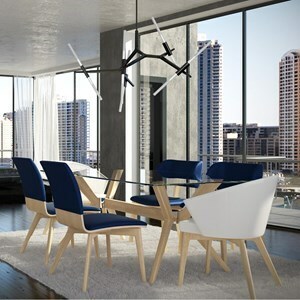 With hundreds of custom dining tables, chairs, and dining storage pieces, we can help you find the set that matches your family’s dining needs. 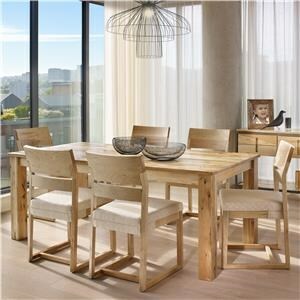 At Saugerties Furniture, we carry a large selection of customizable, better quality dining furniture Made in North America. 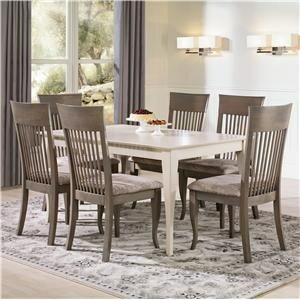 With hundreds of custom dining options, we can help you find the set that matches your family’s dining needs. 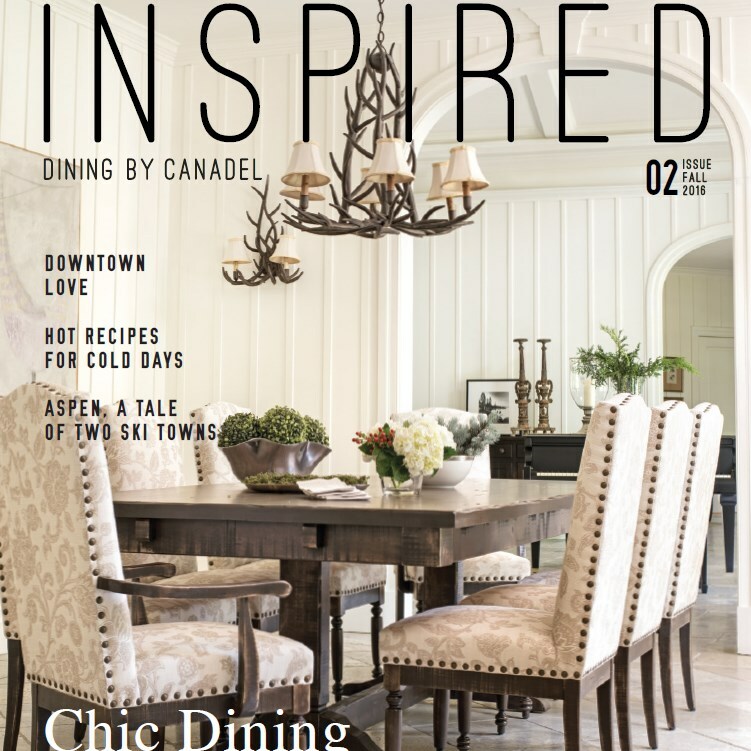 Established in Quebec in 1982, Canadel is a leading North American manufacturer of high-quality dining furniture. 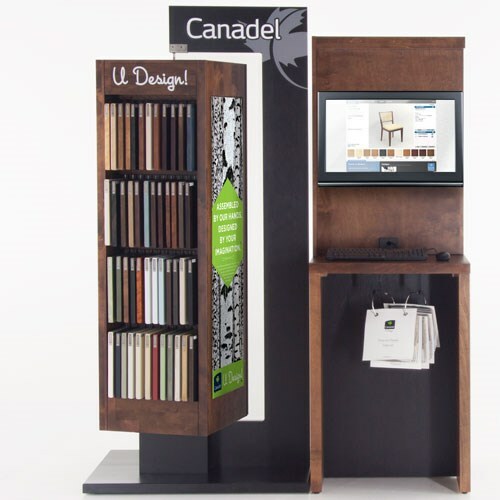 Offering thousands of custom combinations, Canadel starts with solid birch construction and a variety of style references, and lets you take it from there, with custom options that range from shape and style to size and finish. With an emphasis on design and functionality, Canadel delivers heirloom quality furniture for today; durable, beautifully crafted designs that are perfectly in-line with today’s trends and styles. 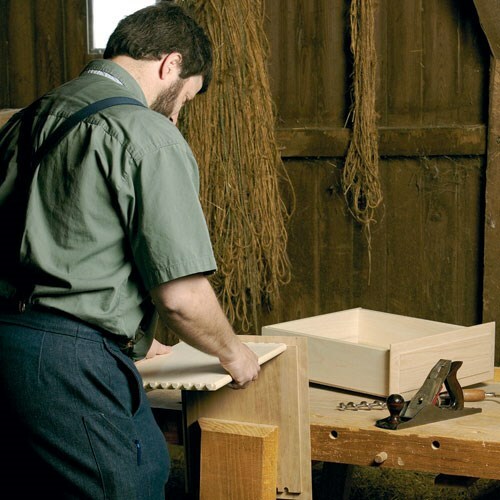 Rooted in traditional Amish craftsmanship and artistry, Daniel’s Amish offers heirloom-quality dining furniture handcrafted in the United States. Each piece is made from solid wood, and features an extensive finishing process to protect your furniture from scratches and water damage. Choose from a variety of styles and then customize the look by selecting from five solid wood choices, over 50 finish options, and 70 distinctive hardware styles. Built to last for generations but personalized for you, Daniel’s Amish helps you create the perfect dining furniture for your family and home. Weaver Woodcraft provides a truly customizable experience and product offering. 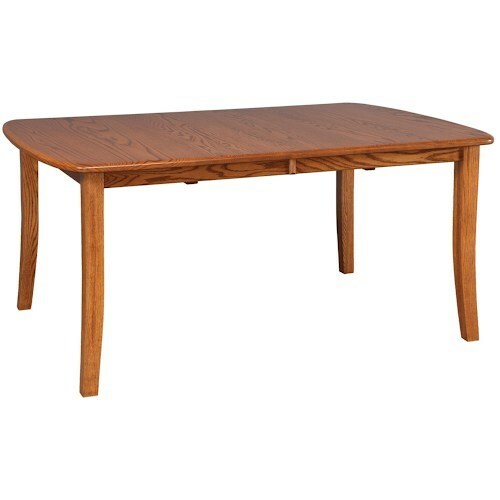 Made in Ohio, these dining pieces are Amish-made from solid wood and will last a lifetime. 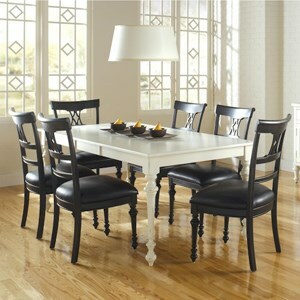 Tell us your size needs, and we will create a dining set perfect for you – we can customize to any size you prefer. Other custom options include table top shape, edge style, leg style, number of table leaves, wood species, and stain color. Stains are all Ohio Certified Stains and include a worry-free catalyzed lacquer finish made to prevent staining and damage. Any Weaver Woodcraft item you see can be customized to your liking. 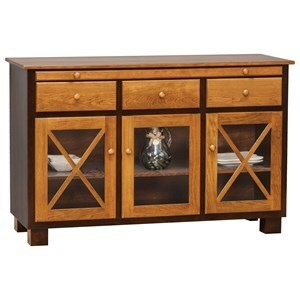 Crafted in the United States, Meadow Lane provides a wide variety of customizable dining storage pieces such as buffet and hutches, servers, and wine cabinets. Choose from five wood species, multiple finishes and stains, hardware, mouldings, drawer and door options, and more. Additional features include wine bottle racks, wine glass rails, felt-lined silverware drawers, can lights, and soft-close drawers. Solid wood and worry-free catalytic varnish provide extra strength and protection, so these pieces are made to last. Meadow Lane’s storage pieces will provide your family with the exact pieces needed to fit your home and needs. 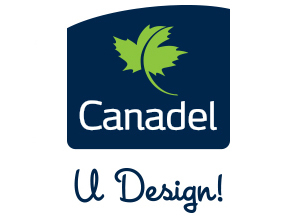 Canadel Custom Dining - Made in Canada, designed by you. 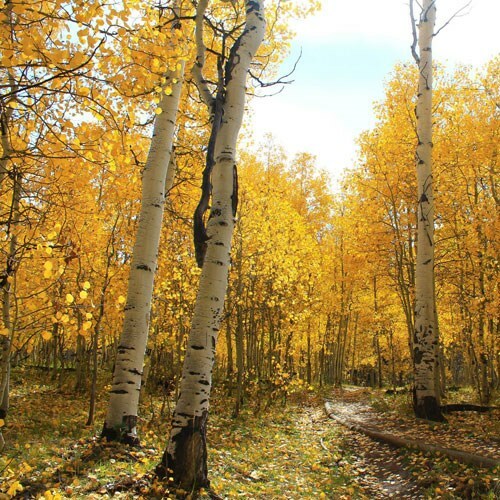 Every Canadel product is crafted from solid birch wood harvested from North American forests and manufactured according to environmentally-friendly processes. Dining pieces are completely customizable to suit your style and needs. Find a style you like and work from there to select everything from finish and fabric to elements like leg style, table top shape, chair back style, and hardware. Custom design without the wait. Experience your personalized creation right at home within 35 days of purchasing. The ever-stylish flagship collection that represents the essence of Canadel: quality-made furniture with an abundance of options. 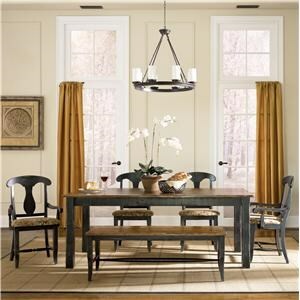 Create a dining space that evokes simpler times with Champlain’s straightforward lines and 11-step antiquing process. The look is warm and relaxed, yet wonderfully unique. Inherently chic and sophisticated, High Style centers around contemporary forms, comfort, and function. It’s elegant luxury for your modern lifestyle. Drawing from industrial era factories and welding shops, the Loft collection blends rustic character with contemporary comfort for a dining look that is authentic, warm, and welcoming. Metropolitan designs defined by clean lines, metal adornments, and an extensive palette of colors. Downtown is simple and fresh, yet distinctly refined. Perfectly casual yet always charming, Gourmet mixes elements from around the world for a look that is full of character, yet right at home. 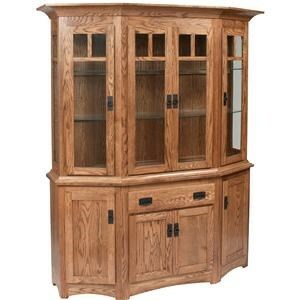 Infused with the skill and artistry of Amish craftsmen, Daniel’s Amish furniture is truly one-of-a-kind. Built to last, this product features the finest materials around, with a seven-step finishing process that enhances the solid wood’s natural beauty, in addition to providing advanced protection. 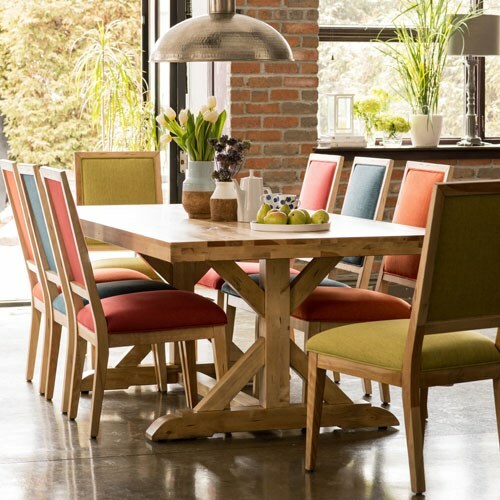 Complete with a selection of wood, color, and hardware options to choose from, Daniel’s Amish lets you add personalized touches to their timeless dining sets, for furniture you can pass down for generations. 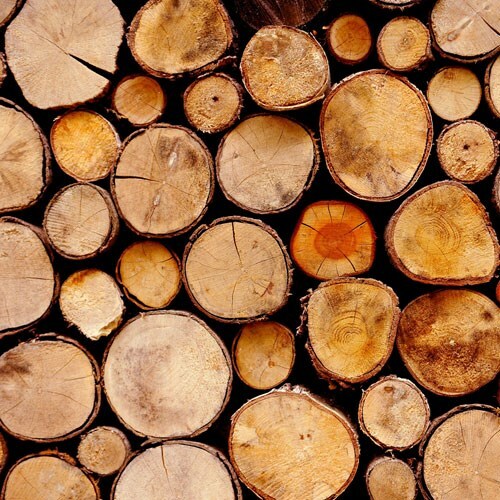 Quality furniture starts with solid American hardwood. 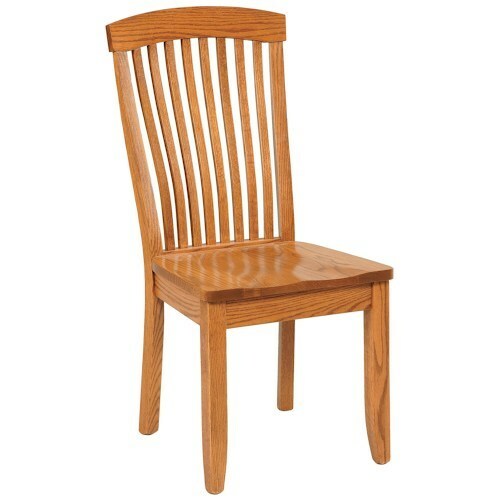 Choose from Quartersawn White Oak, Hickory, Oak, Maple, or Cherry solid wood to build your perfect dining furniture. 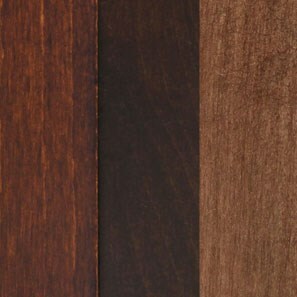 Find the perfect tone and texture for your dining room by choosing from over 25 finish options. The exclusive 7-step finish process features a Catalyzed Varnish top coat for superior protection and hassle-free maintenance. Every home is different. Daniel’s Amish offers a variety of size and storage options, as well as custom measurements to ensure the perfect dining furniture for your home and needs. "At Saugerties Furniture our Guaranteed Everyday Low Prices ensure you’re getting the best price everyday on the furniture you want. Our 66 years of experience helping people furnish their homes with better quality furniture gives you piece of mind that you can rely on us to help you to find the perfect pieces for your home. We’re all family and we don’t have commissioned salespeople so you’ll never feel pressured to buy something that isn’t right. Visit us in Saugerties and see the difference experience makes."